We are all looking forward to the Spring and Summer 2018 so get back out in the garden and enjoy ourselves. They are saying that the summer weather for 2018 could be the easiest ever to predict. Although a lot of science is used, we can never guarantee great weather, but the Summer of 2018 looks set to be a good one. As the atmospheric pressure increases we are all set for the kind of sunny spells that mean evening meals in the garden, soaking up the last of the rays for the day while relaxing with friends and family. This is one of the joys of life, where you can watch the world go by as birds fly above and bees move around collecting pollen. Just perfect. Summer is the best time of year for so many of us. We take off the layers of clothes that have kept us warm all winter and make the most of the season. 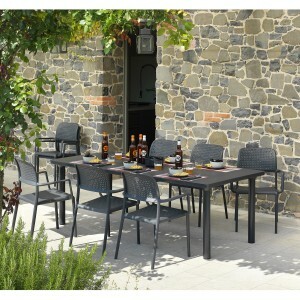 Feel at one with nature by getting enough outdoor furniture to seat everyone. There are so many options in our range that you will find exactly what you want to transform your garden from that Winter Wilderness to Summer Sensation. And you will want to make sure your garden furniture is in perfect condition before inviting every man and his dog around. Don’t forget the parasol for when you want a barbecue and the midday sun is beating down on your head.